A growing body of work emphasizes the importance of regional factors for regional innovativeness. 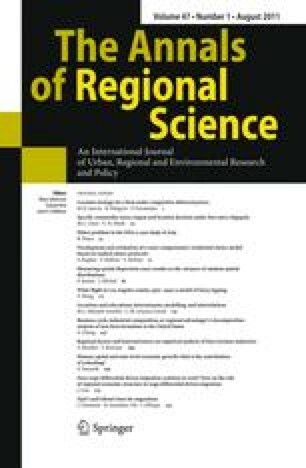 In this paper, about 70 variables approximating the social-economic characteristics of regions are aggregated to 12 regional factors. In four industry-specific set-ups their influence on firms’ innovativeness is tested. The study confirms that inter-industrial differences exist in the importance of these factors. In the empirical analyses a log-linear model is compared with a linear approach. While both are theoretically problematic it is shown that the log-linear model performs better in the empirical assessment.